Regardless of who you are, everyone is in search of a good hairdresser. Because we all learn sooner or later that a good haircut is not easy to come by. Luckily, one barber is changing the game by using something unexpected. Mohamed Hanafy is now famous for incorporating fire to cut hair! He also claims that his customers have stronger hair because of it. Others have used weird tools to cut hair before. A Madrid-based hairstylist has been using swords to clip hair. A man from Serbia uses an ax to do his daily haircut appointments. Basically, if you are an adventurous person who is not afraid of getting hurt, Mohamed Hanafy can light your hair on fire. 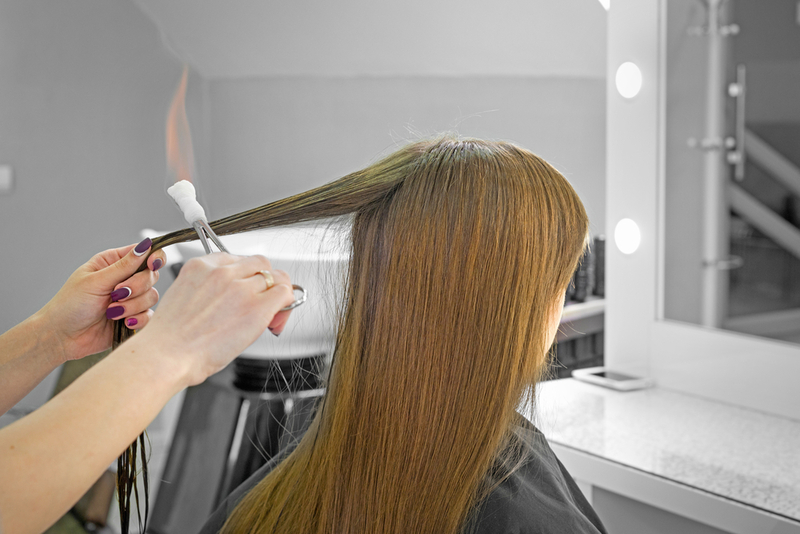 While you might initially be afraid to do this, Hanafy stands by his claim that this fire cut method will straighten your hair and strengthen it as well. And who doesn’t want stronger hair!? Just make sure you go to a professional rather than doing this at home. At first, the business was not very popular. Who could have guessed that telling customers you’d be using open flames near their face would deter some of them? At it turns out, the business took a while to pick up. But once Mohamed Hanafy proved that he was very good at handling flames, customers started showing up. The coolest part about this process is that the fire can help keep your hair straight for up to a month or longer. At least that is what Hanafy is claiming his haircuts can do. He also states that it might prevent split ends from forming. So maybe next time you are in the area, come by and drop this hair magician a visit. You might just experience the hottest haircut of your life.